Gardens are generally thought of as being restricted to the ground plane. But some plants have characteristics suited to growing up - or down - the vertical plane. Vertical plants are especially useful to divide a space, where horizontal space is limited or where a large upright surface needs breaking or softening. 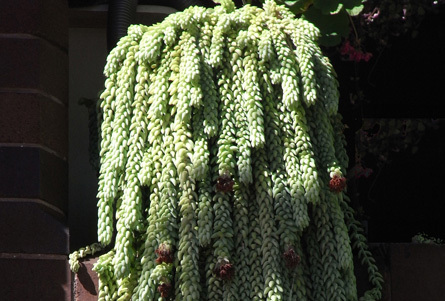 Climbers are among the most adaptable vertical plants. Those with self-attaching roots can clad a wall in foliage without any outside support. Others are trellis plants that climb with tendrils or twining stems up a two-dimensional support structure. Pergola plants are larger climbers; big enough to grow up and then spread horizontally as a canopy. Espalier plants - typically fruit trees trained to grow in two dimensions - are another device for covering or creating a wall. Effectively maximising sun exposure and increasing fruit yields, some climbers and shrubs with long, flexible stems can also be espaliered into symmetrical patterns. Plants don't only grow up from below. 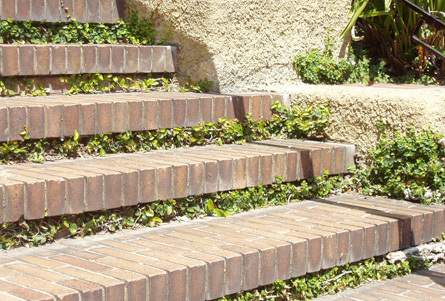 Where enough soil is elevated, spillover plants can trail down from above to soften or screen unsightly retaining walls or steep embankments. Epiphytes that grow on - but not off - other plants and lithophytes that grow on rocks both obtain their water and nourishment from the atmosphere. 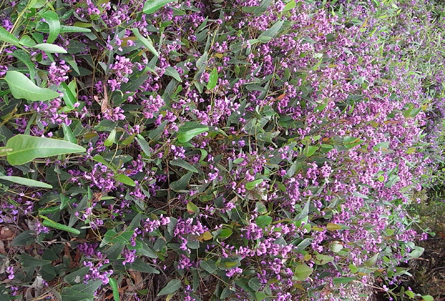 Without the need for soil, these on-wall plants can be mounted to decorate a vertical surface. The simplest vertical solution is simply to look for plants with a narrow, upright habit to fit a particular space. Recent higher-tech "green wall" solutions involve fixing a soil-alternative to a wall for anchoring roots. Incorporating a system to deliver water and nutrient, the plant selection possibilities then become almost as broad as on the ground. 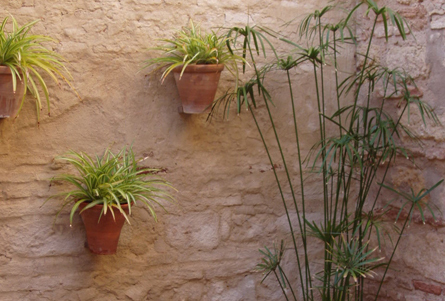 Use the Plant This Plant Selector to choose plants for the vertical planes of your garden. Get chooks to do the gardening with you. They make lovely companions as well as fertilising, de-bugging and tilling your garden for free!